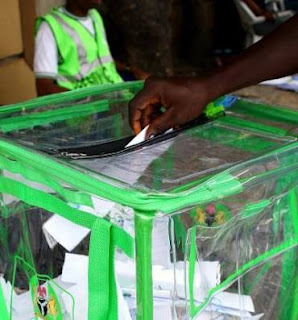 A group, Nigerian Youth in Osun has called on the youths of Osun state, especially areas where the supplementary election would be held on Thursday to maintain peace and order before, during and after the governorship rerun. The group made this known on Wednesday in a statement that was signed by Oladele Taiwo Thompson, it's State Publicity Secretary. According to the group, the Independent National Electoral Commission should be unbiased and impartial in the conduct of the poll. Youths were asked to exercise their franchise at the polling units that the rerun would take place in Osogbo, Orolu, Ife North and Ife South of the state. "This is to commend the Nigerian Youth in Osun state for their doggedness and resilience in there quest for good governance in the State. "We implore all youths in the state to be safety conscious as peaceful atmosphere is a bedrock of every development in a society. Let's be united and lift the state to higher height. "We implore Independent National Electoral Commission to respect the people's will and abide by the law in exercising its duty in order to ensure a peaceful atmosphere in the State. "Dear Youth, in different respective area where re-run election will be conducted, we implore you to exercise your franchise in peace without any fear of intimidation as the Security agencies are available to protect and ensure smooth running of the election process. Together we shall move Osun State forward. NYO building the Youth, Building the Nation," the group said.